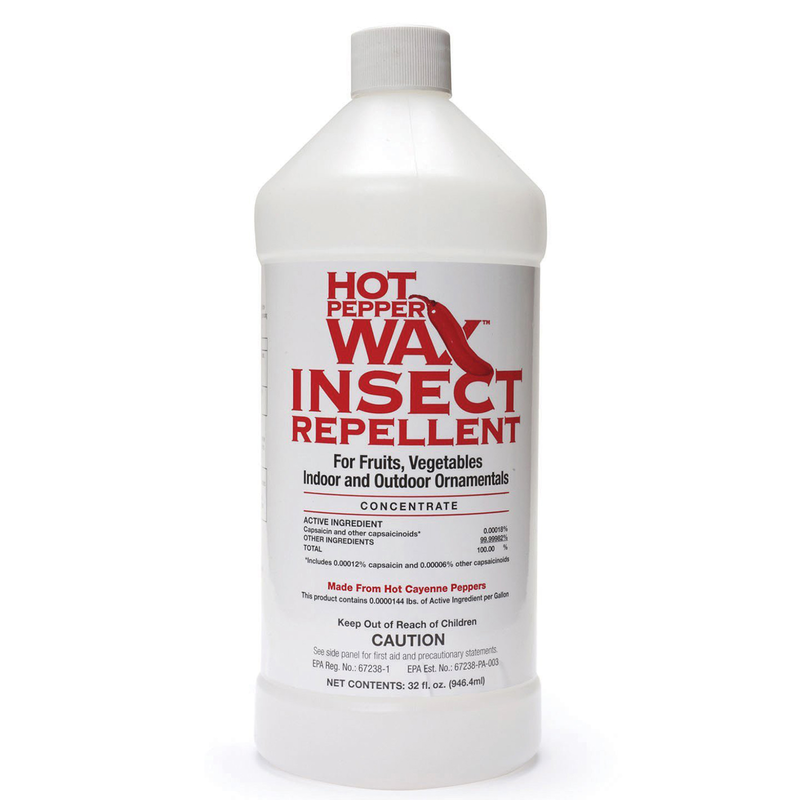 Finally there is a natural insecticide that really works on soft body insects. HPW repels up to three weeks and has a transparent film barrier that protects against insects including aphids, whiteflies, spider mites and beet armyworms and cabbage loopers. Normal rains or irrigation cannot wash it off. Hot Pepper Wax is a liquid concentrate, and is offered in quart bottles. A liquid concentrate, when combined with water creates a foliar spray for the leaves, stems, fruit and flowers of plants. 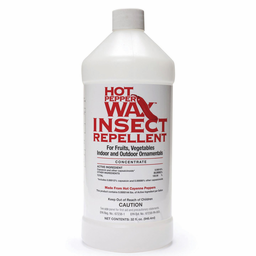 Hot Pepper Wax effectively repels aphids, spider mites, thrips, leaf miners, white flies, lace bugs and scale. Application: Initial rate is 4 oz. to 1 gal. water. Repeat application, if necessary, in 1-2 weeks. Once control is established use 2 oz. per gal. of water every 2-4 weeks to maintain control.